When it comes to a cool, refreshing pint of Ben & Jerry’s ice cream, we all know Bernie would have one. 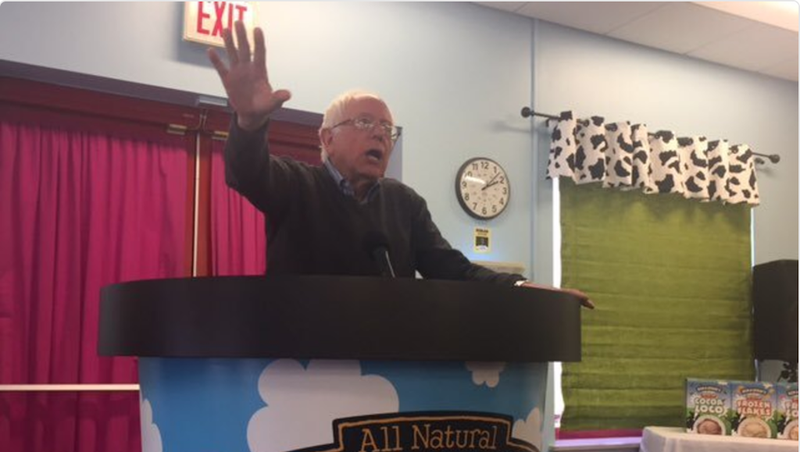 On Friday, the Vermont Senator tweeted a photo of himself speaking at an undisclosed location with cow print curtains. Though Sanders’ account captioned the pic with an inspiring message, it was hard to ignore that the podium was made to resemble large pint of his home state’s iconic ice cream. He appeared to be rising from it, like a phoenix from the ashes.